Following our lunch at Heggies, we headed to Henschke’s Hill of Grace vineyard. 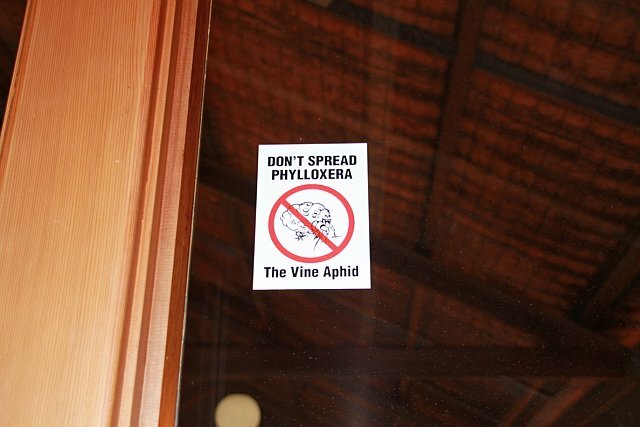 Most of South Australia has been spared exposure to phylloxera, so it was common for us to see signs like this. Vine aphid, root louse, insect. Whatever you'd like to call it, it attacks and kills grapevines. It can be transported in soil, grapes, leaves, or on footwear, clothing or vehicles. Signs warning to keep out of vineyards without permission were common, too. We all had to step in this bucket, with cleaning solution, prior to entering Hill of Grace, so as to not spread any unwanted pests. 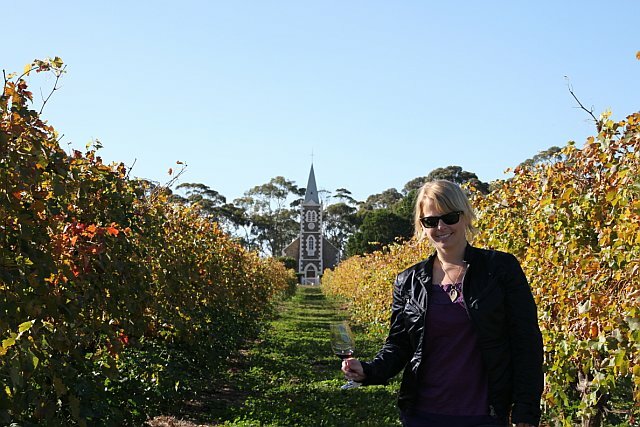 No exposure to phylloxera means that South Australia has some of the oldest commercial grapevines in the world. 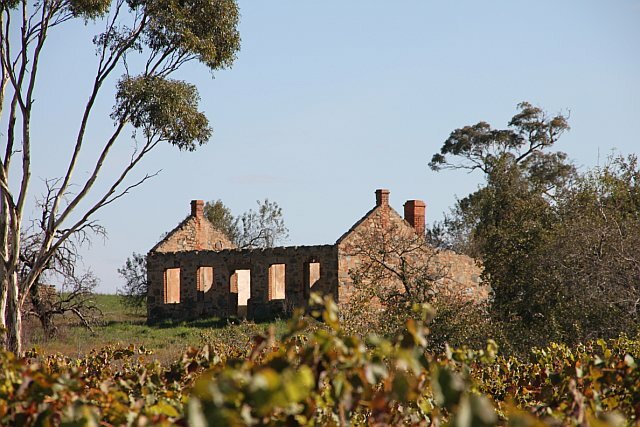 This is Grandfathers block, the oldest in the Hill of Grace vineyard, planted by Nicolaus Stanitzki around the 1860s. The vines are on their own roots from pre-phylloxera material brought from Europe by the early settlers. These gnarled Shiraz vines are dry-grown. The first wine we sampled was the 2006 Hill of Roses. 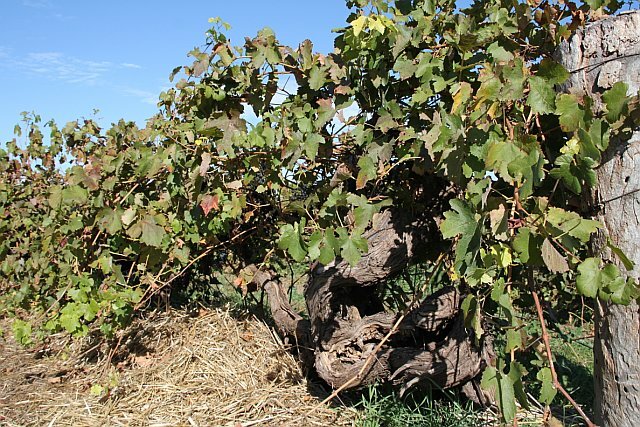 The wine is named as a tribute to Johann Gottlieb Rosenzweig, one of the early Barossa Lutheran pioneers, whose name translates to “rose twig”. The vines for Hill of Roses come from the Post Office block (see namesake in background). These vines are only 19 years old, too young for inclusion in the Hill of Grace bottling. That being said, the wine was deemed tasty enough to have its own bottling. Henschke considers 2006 an excellent vintage, with cellaring potential for the Hill of Roses up through 2026. Dark fruits, herbaceous and spicy. Complex and layered with velvety tannins. 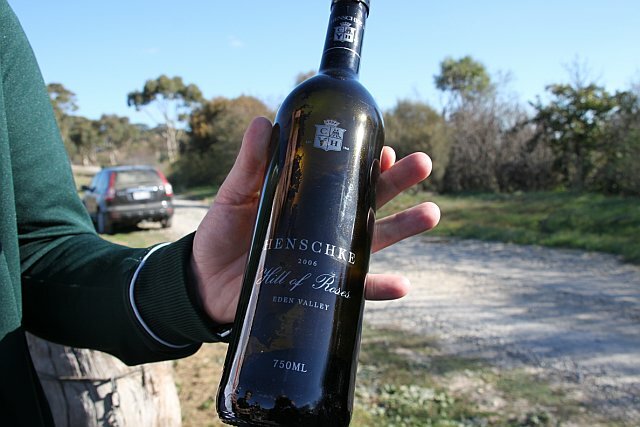 Cyril Henschke, the 4th generation, made the first single vineyard wine from the vines in the Grandfathers block in 1958. These original vines are now over 145 years old. The grapes are all hand-harvested and fermented in traditional open-top fermenters. Here I am, enjoying my Hill of Grace in the Hill of Grace. It is a translation from the German ‘Gnadenberg’, a region in Silesia, and the name given to the Lutheran church across the road. Don’t tell, but I preferred the 2006 Hill of Roses to the 2006 Hill of Grace. There was something about its brooding nature, or maybe I tend to root for the underdog. Looks like you had a great time. I enjoy reading about your good time also.